In the words of American poet Mary Oliver, "poetry is meant to be heard". So why not spend a relaxed evening in the Rondo with a pint in hand and listen to some! 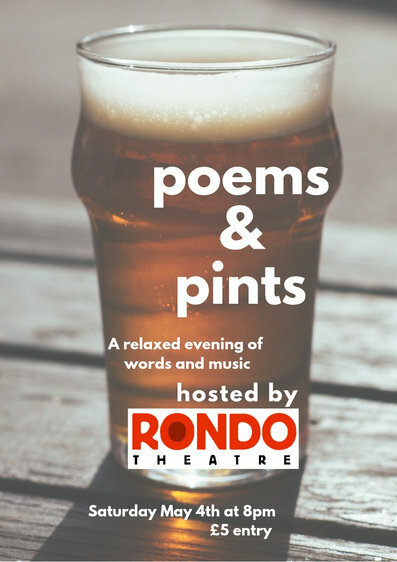 Bring along your favourite poem, something you've written, a short story or just a listening ear, and while away an evening of words among new friends. There will also be gentle interludes from some exciting up-and-coming local musicians and the bar will be open all evening.